This report looks at how governments can ensure that everyone has access to justice, and that justice processes and services are responsive to people’s needs. Based on lessons derived from people-centred service delivery, the report identifies access to justice principles and promising practices, as well as measurement tools and indicators to help countries monitor their progress. It sets out a framework for people-centred service design and delivery that can be applied to the entire legal and justice chain. 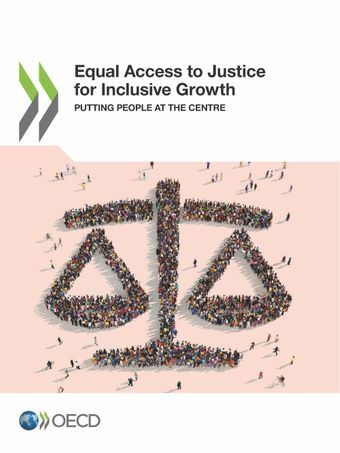 Drawing on over five years of research and collaboration with OECD member countries and partner economies, the report contributes to our collective understanding of effective access to justice and the crucial role it plays in inclusive and sustainable growth and development.